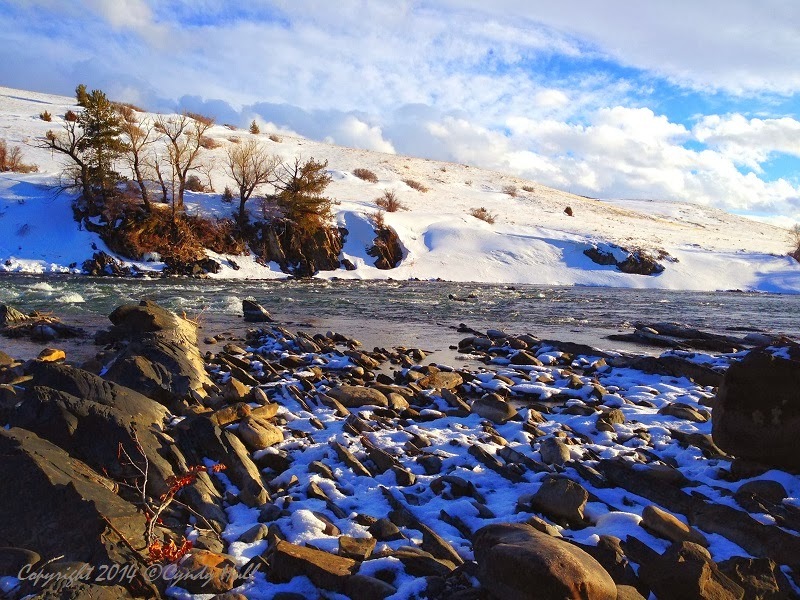 The walking path in Livingston’s Sacajawea Park meanders parallel with the Yellowstone River. However, to view this shore-level perspective, you have to clamber down a safe spot along the bank. And while you are out of view, it is advisable to sing a loud, happy song to ensure your big sister knows you haven’t come to some dreadful end, lest she start loudly calling your name after the fashion of a champion hogcaller. Sisters - gotta love ‘em, gotta humour them.